Biodiversity Observations is an open access electronic journal published by the Animal Demography Unit at the University of Cape Town. This HTML version of this manuscript is hosted by the Biodiversity and Development Institute. Further details for this manuscript can be found at the journal page, and the manuscript page, along with the original PDF. This paper reports progress with OdonataMAP, the Atlas of Dragonflies and Damselflies of Africa, for the two-year period 1 July 2016 to 30 June 2018. During the two-year review period, the database for the project grew by 30,423 records to 52,257, starting from 22,809 records collected between 2010 and June 2016. Submissions were made from 25 African countries. In six of the nine provinces of South Africa, the number of OdonataMAP records for the province more than doubled. The provinces in which the number of records were not doubled were Gauteng (44% of records made during reporting period), Free State and North West (both 46%). Five observers contributed more than 1000 records over the two-year period, and a further 10 between 500 and 999 records. The total number of observers for the two-year period was 529, compared with 295 in the 2010-16 period. One of the important success of OdonataMAP during the review period was to increase the number of observers, and to reduce the project’s dependence on a small number of citizen scientists. 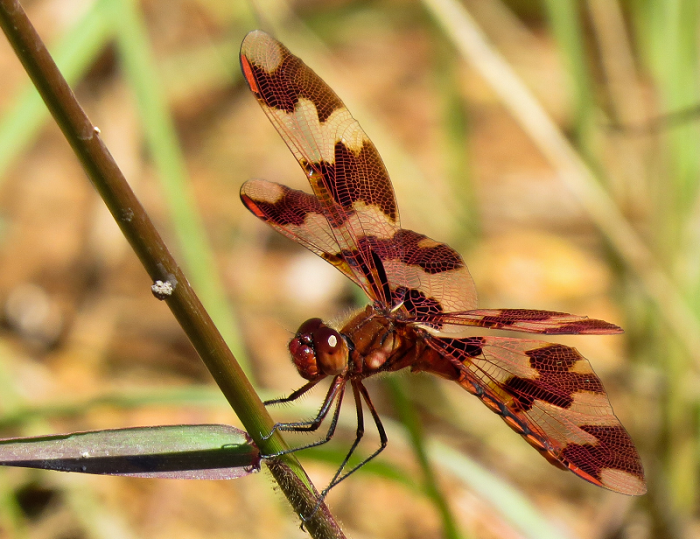 OdonataMAP provides up-to-date distributions of the dragonflies and damselflies, a critical component of addressing their own conservation priorities, and also the conservation of freshwater ecosystems. The project will provide a valuable input to a revision of the Red List status of each species. Besides the distribution maps, OdonataMAP aims to make a contribution to understanding the seasonal phenology of these species. Documenting and quantifying changes in seasonality are a critical component of understanding the impacts of climate change on biodiversity (Hassel et al. 2007, Bush et al. 2013). Thus OdonataMAP aims not only to mainstream the conservation of the Odonata, but also the freshwater habitat on which they (and we) depend. Besides its own value for the conservation of Odonata, this atlas has the potential to influence government policy on the use of water resources, especially for the rural poor. There is no other taxon which has the potential to be so politically prominent in this way. The report by Underhill et al. (2016) summarized what OdonataMAP had achieved during the period 22 September 2010 until 30 June 2016. The database then contained 22,809 records. The end of June is a natural splitting point for the Odonata year, because it is midwinter in the southern hemisphere and fieldwork is at its lowest ebb. This report focuses on the growth of the database for the two “years”, from 1 July 2016 to 30 June 2017, and from 1July 2017 to 30 June 2018. The Odonata Database of Africa (ODA) is an open access database developed by a JRS-funded project (Clausnitzer et al. 2012, Dijkstra 2016). This database contains 121,121 records of the distribution of dragonflies and damselflies across Africa and it includes most of the museum specimen records for the region.This database became available online during the last months of 2016, where it is known as African Dragonflies and Damselflies Online (ADDO) (http://addo.adu.org.za/). ADDO is a collaboration between the Department of Conservation Ecology and Entomology (University of Stellenbosch) and the ADU (University of Cape Town). Although the two databases are separate, search queries made to the OdonataMAP database can include a search of the Odonata Database of Africa. This collaboration, completed during the two-year reporting period, represents a major consolidation of data resources. How many records were submitted to OdonataMAP in the period July 2016 to June 2018, and where in Africa did they come from? For the years July 2016 to June 2017 and from June 2017 to July 2018, OdonataMAP gained 11,091 and 18,357 records respectively, a total of 30,423 new records, bring the grand total since the start of the project in 2010 to 52,257 records (Table 1). This is an increase from 22,809 records in June 2016, thus 56.4% of the OdonataMAP database has been contributed in the two years under review (Table 1). The records submitted during the two year reporting period came from 25 African countries; the total number of countries for which records have been submitted is now 32 (Table 2). Outside of South Africa, most of the records for the reporting period came from Namibia (491) and more than 100 records from 11 other African countries (Namibia, Botswana, Zambia, Nigeria, Malawi, Angola, Kenya, Mozambique, Zimbabwe, Swaziland, and Sudan). Two records were submitted from countries in the Middle East (Table 2). In six of the nine provinces of South Africa, more than 50% of the total number of records had been submitted in the two-year reporting period (Table 3). The largest percentage increase was for the Western Cape, for which 6,635 records were submitted, 74% of the of the total number of OdonataMAP records for the province. The provinces in which the number of records were not doubled were Gauteng (44% of records during reporting period), Free State and North West (both 46%) (Table 3). Overall, for South Africa as a whole, 57% of records were submitted during the reporting period (Table 3). What were the outcomes of the Shoot the Dragons Weeks of the past two summers? OdonataMAP hosted a series of 10 “Shoot the Dragons Weeks” in the summers of the reporting period, three in 2016/17 and seven in 2017/18 (Table 4). They ran from the Saturday of one week to the Sunday of the following week, so that they included two weekends. Their purpose was to promote participation in OdonataMAP, and to maintain momentum in data collection and submission. There is a full description of the results of the very first week (Underhill et al. 2016a). The total number of records submitted during the Shoot the Dragons Weeks was 9,270, so that 30% of the records during the reporting period were submitted during the 10 Shoot the Dragons Weeks. To put this into context, the 90 days of the 10 Weeks represents about 20% of the period of the year when the Odonata are most active. This provides a coarse measure of their effectiveness. Shoot the Dragons Weeks will be repeated in the 2018/19 summer. How is the number of OdonataMAP observers growing? Five observers contributed more than 1000 records over the two-year period, and a further 10 between 500 and 999 records (Table 5). The most prolific observer contributed 6% to the total number of records; by contrast, in the 2010-16 report (Underhill et al. 2016b), the top two observers contributed 19% and 15% of the total number of records. The total number of observers for the two-year period was 529, compared with 295 in the 2010-16 period (Underhill et al. 2016b). One of the important success of OdonataMAP during the review period was to increase the number of observers, and to reduce the project’s dependence on a small number of citizen scientists. Growing numbers of records generated increased workloads for the expert panel. This is a group of volunteers who either undertake identifications from scratch or confirm the identifications made by the observers. Over the reporting period, the load has been shared mainly between John Wilkinson, Ryan Tippett, Sharon Stanton, Alan Manson, Bertie Brink and Lappies Labushagne. Warwick Tarboton remains the anchor to whom difficult records get referred, and the expert panel has also consulted K-D Dijkstra from time to time. What are a few of the most remarkable records submitted to OdonataMAP during the past two years? Commenting on the original posting of the photo in the Facebook group called Dragonflies and Damselflies of Southern Africa, Jens Kipping, authority on the Odonata of Angola, wrote: “Holy moly, Christopher Hines! First, I thought that somebody from the South American or Asian group sent a picture accidentally. I cannot believe that this is from Angola. I do not have any clue what this libellulid is! It looks a bit like Rhyothemis but also, from the body, a bit like a Palpopleura. This might even be a new genus.” KD Dijkstra, taxonomic authority on African Odonata, subsequently analysed the images, and considered it likely that this might prove to be a new species in the genus Trithemis. An unexpected and dramatic range expansion occurred during the reporting period. The Ceres Streamjack (also known as Spesbona) Spesbona angusta was described in 1863, but was thought for several decades to be extinct, having not been recorded since 1920. The streams in the area near Ceres, Western Cape, where it had been observed in 1920, had been radically transformed and many no longer flowed due to over-extraction of water for the fruit industry. It was rediscovered in November 2003, when a population was found along the Dutoitsrivier, which flows into the Theewaterskloof Dam, near Villiersdorp, Western Cape, South Africa. This locality is 60 km distant from the original Ceres locality. There are multiple sightings in this immediate Theewaterskloof Dam area (OdonataMAP database), and the IUCN-defined Area of Occupancy is 24 km2 (Samways 2018). For more than a decade, this was thought that this was the only locality where the species occurred. Then, on 10 October 2017, citizen scientist Jean Hirons caused a massive surprise when she photographed the species at a locality near Sedgefield, 330 km due east of the Theewaterskloof site (Figure 2). This raises the obvious question: does it occur at a series of intermediate localities, in suitable habitats along the mountain ranges that link these two isolated sites? The likely answer is yes, because an inspection of Figure 3 of Underhill et al. (2018) reveals that, while fieldwork in the areas of the two known localities of the Ceres Streamjack have been reasonably intensive, the intervening area has been poorly covered by fieldwork, and is regarded as a priority area for future expeditions. What are the take-home messages? In a nutshell, the OdonataMAP project grew rapidly in the two-year period under review. From a public-interest perspective, there can be no doubt that the Odonata have been transformed from being the taxon of focus for a minuscule group of enthusiasts, to becoming quite substantial. It is likely that the size of the dragonfly/damselfly community is in the process of overtaking that of the butterfly community, if it has not done so already. It is still far smaller than the bird community, but that is challenge that OdonataMAP is taking on. Multiple factors have played a role in this growth. Emerging at roughly the same time, they have interacted with each other, and reinforced each other: (1) the publication of the superb fieldguide (Tarboton & Tarboton 2015); (2) the excellently managed Dragonflies and Damselflies of Southern Africa group on Facebook; and (3) the sturdy Virtual Museum platform for uploading images into a long-term database; (4) the award of funding to the Animal Demography Unit at UCT by the JRS Biodiversity Foundation, Seattle, USA. Growing the broad civil society interest in the Odonata is part of the strategy for meeting the next challenge. This is in fact the challenge set by the JRS Biodiversity Foundation: “How do we get the data into use? How do we mainstream the dragonflies and damselflies so that the OdonataMAP data become serious components of conservation policy making, of environmental impact of assessments, and the thinking of politicians and civil servants?” Our report on the Odonata of the Kruger National Park was an experimental step in that direction (Underhill et al. 2018). John Wilkinson, Alan Manson and Lappies Labuschagne and others made helpful suggestions. We acknowledge funding from the JRS Biodiversity Foundation, Seattle, USA. But above all, we celebrate the amazing contributions made by two teams of citizen scientists: the fieldworkers who contribute the records and the expert panel who undertake the identifications. Dijkstra, K-DB 2016. African Dragonflies and Damselflies Online. (Version 1 July 2016). Available online at http://addo.adu.org.za . Samways MJ 2018. Spesbona angusta. The IUCN Red List of Threatened Species 2018: e.T13257A75519665. Available online at http://dx.doi.org/10.2305/IUCN.UK.2018-1.RLTS.T13257A75519665.en. Downloaded on 5 September 2018. Tarboton W, Tarboton M 2015. 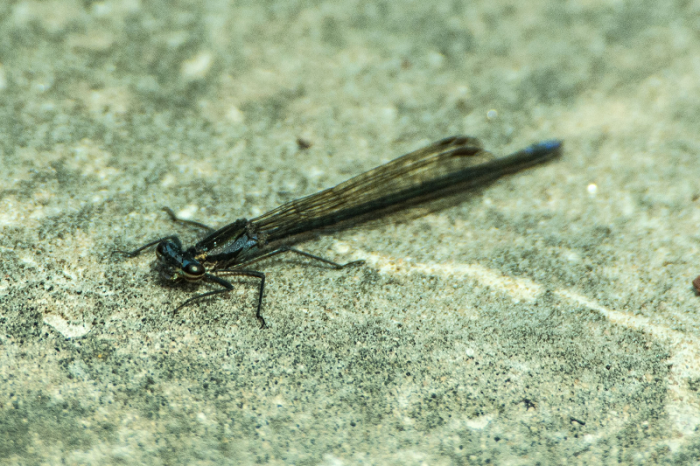 A Guide to Dragonflies and Damselflies of South Africa. Struik Nature, Cape Town. Underhill LG, Loftie-Eaton M, Navarro R 2018. Odonata of the Kruger National Park. Biodiversity Observations 9.11:1-16.